Plum Organics ™ announced today that it is taking the precautionary measure of voluntarily recalling one particular batch of its 4.22 oz. Apple & Carrot Portable Pouch baby food with the best by date May 21, 2010 and marked with the following universal product code (UPC) #890180001221 located on the bottom of the package. These pouches are sold individually at Toys-R-Us and Babies-R-Us locations nationally. No illnesses have been reported in connection with this product and no other Plum Organics products are affected. As a further precaution, samples from every Plum Organics product manufactured before and after this batch were tested and found to be within quality standards. The recall was undertaken as a precaution due to the risk of potential contamination with Clostridium botulinum, which can cause botulism, a serious and sometimes life-threatening condition. Consumers should not use these products, even if they appear to be normal, because of the possible health risk. Symptoms of botulism poisoning in humans include general weakness, dizziness, double-vision and trouble with speaking or swallowing. People experiencing these problems should seek immediate medical attention. 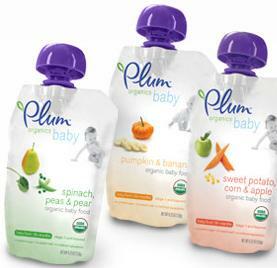 Consumers who have purchased the Plum Organics Apple & Carrot pouch-based baby food with a best by date May 21, 2010 and with the UPC # 890180001221 can return the product for a full refund at any Toys-R-Us or Babies R Us store. Thank you for posting this information for us. Please note, this RECALL is NOT for the TOTS FIDDLESTICKS in APPLE & CARROT flavor. This is a voluntary recall of our APPLE & CARROT baby food in the portable pouch. Please refer to this link below if you have any questions or concerns regarding this matter. Thank you!